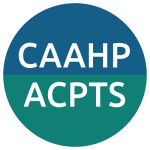 The Canadian Association of Allied Health Programs (CAAHP) / Association canadienne des programmes en techniques de la santé (ACPTS) bylaws were revised and approved at the Annual General Meeting, April 2, 2018. 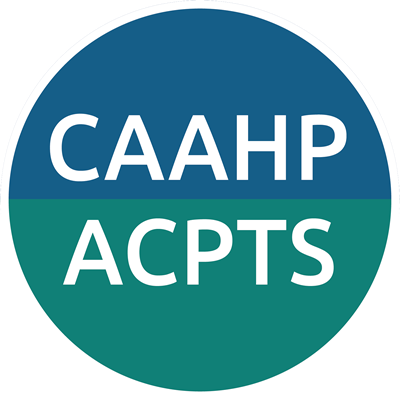 The Organization shall be known as the Canadian Association of Allied Health Programs. The vision of the Association is to shape the future of health sciences education. to profile and promote best practices and innovation, among academic institutions. The institutional membership of the Association shall consist of publicly funded institutions offering Health Sciences Programs in post-secondary education. Each member may be represented by the Dean, Director or equivalent. An organization, agency or individual, not named in the previous paragraph, with an interest in the mission and purpose of the association may become an affiliate member of the Association. Each affiliate application must be approved by the Board of Directors. Once approved, affiliate members will have the right to attend all general meetings and receive all general documentation, but will have neither voting rights nor the right to hold office. The membership year runs from September 1st to August 31st and members will be assessed fees on an annual basis. The annual dues shall be established by the Board of Directors and ratified at the Annual General Meeting. Any member failing to pay dues by December 1st shall automatically forfeit membership in the Association. An annual General Meeting is open to all the members of the Association such as defined in article 2.
electing new members to the Board of Directors. Written notice thereof shall be given to all members not less than 90 days prior to the meeting date. Other general meetings may be called at the discretion of the Board. The President shall preside at all general meetings. In all matters in which the membership shall vote, each institutional member will have one (1) vote. The simple majority of those present will carry the vote. If the vote results in a tie, then the motion shall be considered defeated. The Board of Directors will carry out its responsibilities/authority according to current Bylaws. The activities and the affairs of the Association shall be conducted by a Board of Directors. Ontario shall have two (2) representative, given its size and number of colleges. Every effort shall be made to ensure broad representation of the membership and to reflect the regional and linguistic diversity of the Association. No institution shall have more than 1 representative on the Board of Directors at any given time. A Nominating Committee of three Board members, chaired by the Past President, shall be struck 6 months prior to the Annual General Meeting and shall nominate members for the Board of Directors. Directors shall be elected by the general membership at the Annual General Meeting with approximately one third of the Directors standing for election each year. Terms are normally 3 years, and may be renewed on a recommendation from the Board and confirmed by a vote at the next Annual General Meeting. monitor the budget adopted by the Association. There will be a minimum of one (1) in-person meeting per year, other than the annual conference and Annual General Meeting. The Board of Directors will also meet periodically at the call of the President. The President shall preside during meetings. Each member of the Board of Directors shall be entitled to one (1) vote. A simple majority will carry the vote. If the vote results in a tie, then the motion shall be considered defeated. The presence of a majority of the members of the Board of Directors shall constitute a quorum at all meetings of the Board of Directors. Expenses incurred while conducting business of the Board shall be borne by the individual Board member except where otherwise approved by the Board and according the expense policy. When Director’s vacancies occur, the Board may appoint an interim member until the next Annual General Meeting at which time the vacant position shall be filled in accordance with the Bylaws. If a Director is unable or fails to perform duties satisfactorily over a period of time, the Board of Directors is authorized to declare the position vacant and delegate the duties of the position to be performed to another Director. A member of the Board of Directors may be removed for cause by a simple majority vote of the general membership at an official meeting of the Board as a whole. A Board member can resign at any time from her/his functions by submitting a letter of resignation to the Board. This resignation comes into effect on the date determined by the signatory. The Officers of the Association shall consist of a President, Vice President, Treasurer, Secretary and Immediate Past President. Offices may be combined at the discretion of the Board. Officers shall be appointed by the Board of Directors subsequent to the Annual General Meeting. If re-elected to the Board, an officer of the Association shall not serve in the same office for more than two (2) consecutive terms. The President shall be the chief officer of the Association and shall serve as chairperson of the Board of Directors, and the presiding officer at all meetings of the Board of Directors and, at the Annual General Meeting. The President shall prepare an annual report which will include reports from the officers of the Board, for presentation to the Annual General Meeting. The Vice President shall replace the President should the President be absent or otherwise unable to carry out his/her responsibilities. If the Presidency becomes vacant, the Vice President shall become President. If re-elected to the Board upon completion of the President’s term, the Vice President shall assume the President’s position. present a financial report and a membership report at the Annual General Meeting. maintain the Bylaws and present any bylaw revisions to the membership for approval at the Annual General Meeting. The Immediate Past President shall serve in an advisory capacity to the President and shall carry out whatever duties may be assigned by the President Board. The Past President shall chair the Nominating Committee. Upon expiry of the President’s term, that individual becomes Past President. The President or the Vice President and the Treasurer are the signing authorities. All documents requiring execution must be approved by the President or Vice President and signed jointly by these parties. All committees appointed by the Board shall be constituted in such a manner as to reflect a wide representation of the Association’ membership. Committees will be struck to work on the priorities of the Association as required. These Bylaws will be reviewed periodically. The may be amended or repealed by the affirmative vote of a simple majority of the voting membership at the Annual General Meeting. Thirty days written notice of the proposed amendment to the general membership shall be provided. The rules contained in the latest edition of Robert’s Rules of Order Revised shall govern meeting of the Association, except where not applicable or otherwise inconsistent with these Bylaws.